When you start to think about planning your wedding and getting married, it can often seem incredibly overwhelming. But it doesn’t have to be. You don’t have to be a bridezilla if you really don’t want to be. Instead, you can just choose to enjoy the process and have fun! Yes, you really can. But to do this, you need to be in the right frame of mind. You need to believe that you’re going to be able to have the best wedding day ever. You need to make sure that you’re committing the time necessary to make sure that your wedding is everything that you want it to be. Yes, it can be a lot of work, but if you want to bring your wedding day alive, you have to give it your all. So, to do that, you’ll find that it’s so important for you to channel your efforts into all of the right areas. Because there are always going to be some of the key things to a wedding that really allow you to make the day feel incredible. And, of course, these key touches will definitely be personal. Because something that you really care about won’t always be something that someone else cares about. However, you can still take the idea of putting your all into the right key areas of your wedding to make it your best. Let’s take a look at some of the things that can help you to make it absolutely perfect (or as close as possible). So first of all, you have the theme. If you really want to make sure that your wedding is just wonderful, then choosing a wedding theme that feels magical and very you, is so important. Some great choices here can be vintage themed, or fairytale, old Hollywood glamour, or even a set color that then impacts on anything else. This then not only allows you to pull together everything else in line with the theme quite easily, but it can set the great tone of the wedding too. Next, there’s the venue. Now, for a lot of people, that can seems incredibly tough to pick out. However, choosing your wedding venue can really set the scene of the ideal wedding that you want. 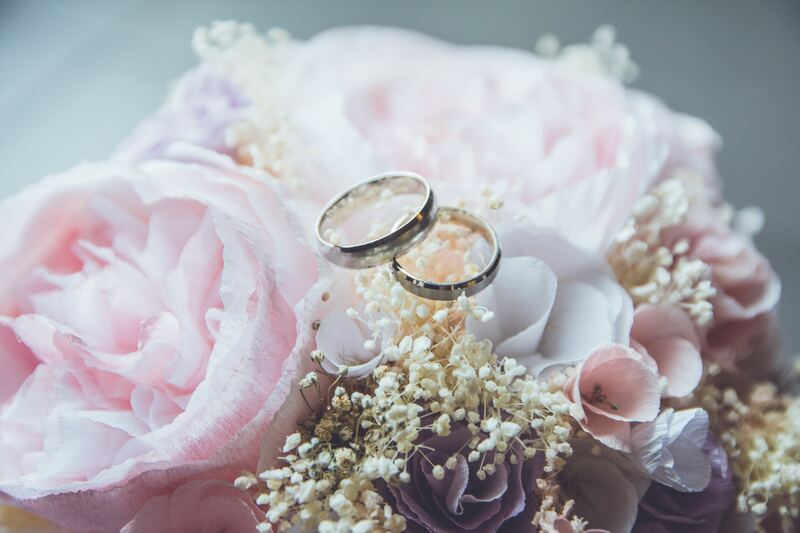 So, think about what an ideal wedding venue would be like – such as an old castle, a fancy hotel, a gorgeous garden, or even something overseas. A lot of the time, your venue can add to the magic of your wedding day. Now, there’s also the invitations too. When you think about it, wedding invites can seem like something so small. But they are just so pretty and can really set the tone of your wedding in the minds of your guests. So spending the time to select the most amazing invites is definitely what you need to do. For some people, the idea of picking out flowers can seem a little boring. But really, the flowers are such an important and exciting part of the wedding. They can really bring a space alive. Think about how you can decorate the ceremony and the venue with so many wonderful and beautiful flowers, it can really create the wedding day of your dreams. Next, there’s the favors. Again, this can often be a really small part of the day that you either forget about, or you don’t really want to put any effort into. And that can feel incredibly normal. But, when you get creative with the favors, they too can add to the excitement of the day. Here, why not think about the kind of favors that are going to play into your theme. Perhaps personalized tea cups for your vintage theme, or shot glasses for your Hollywood theme. Now, the music can seem like an afterthought. But this is something that this playing all throughout the day. So you really do need to get it right. From the wedding ceremony songs that you choose, to the background music at the reception, and then your evening entertaining, how fun would it be to make sure that it’s all in the same kind of theme too? This can really amplify the feel of the day. A really fun area that can really make the day special, is the food. Especially if you’re a foodie! Don’t feel pressured by your venue to make certain choices. Instead, think about what food you want, and find the caterers that you love that will make your wedding day incredibly special. And if you or your fiancé love cars, then make sure that you pick out transport to and from the venue that you absolutely love! Choose the cars that you would absolutely love to arrive in, and that will make your day extra special. And then, you have your wedding guests themselves! This can be something that stresses people out a lot, but just enjoy it. Remember, you want to share your special day with these people. So it’s going to be so important for you to be able to create a wedding guest list full of people that you love. If you know that you want to have key people there, then invite them. But definitely don’t feel like you have to extend invitations out of courtesy. This is a day that you want to enjoy, so make sure that the guests will be a part of that. Finally, you then also have your wedding day schedule to think about do. And definitely feel free to choose this yourself. If you don’t want your guests to be waiting around a lot, or you don’t want to feel like you’re rushing from the ceremony to pictures to eat to dance – then don’t. Your wedding day can go as slow as you like, or go in whatever order you like. So definitely be selfish about being able to enjoy your perfect day.